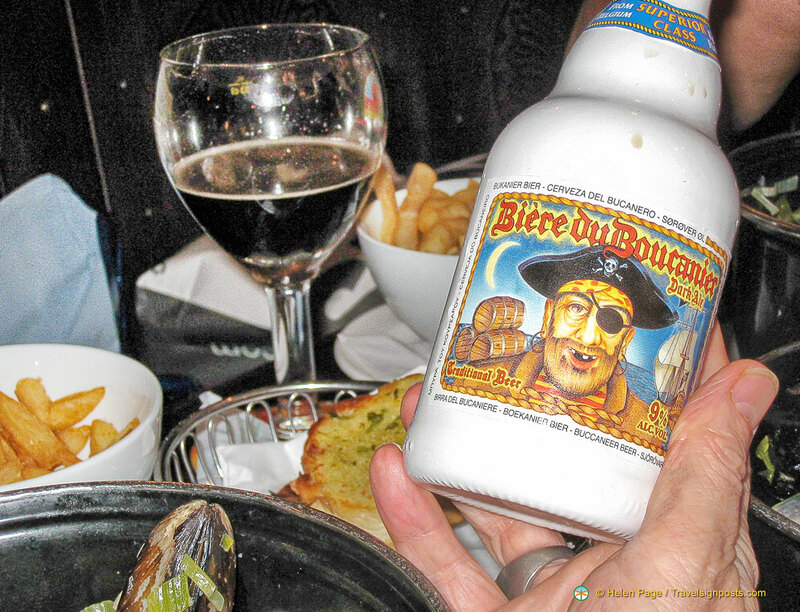 Biere du Boucanier, a real Belgian pirate’s brew! Like Beer? Thought so. I mean, that’s why you’re reading this article, right? Well, if you’re hoping to experience the best possible beer on your travels then you’ll definitely need to make a detour to Belgium. While you can enjoy a local beer on any holiday or trip, it’s not quite the same as enjoying Belgian beer where it’s made – that’s actually reason enough to go there on its own. A Thousand Brews To Taste! In fact, while most of us are familiar with Stella Artois – a highly popular Belgian beer that’s one of the best known lagers on the planet, this huge range of different beverages can make it somewhat difficult to know what you’re getting. Don’t know what Abbey beers are? Don’t worry, you’re not alone. To help you on your merry way then (or on your way to be merry…), here we’ll have a look at some of the different types of beer you might encounter in Belgium. ABBEY BEERS: What you need to remember is that hundreds of years ago, water was unsafe to drink and beer was much healthier (as the alcohol killed the bacteria). This is why otherwise respectable and staid institutions would often brew their own beers. For instance, Abbey beers are beers that were originally brewed by monks. These monks may have since sold their breweries, but the name lingers on. TRAPPIST BEERS: Trappist beers are made by the six abbeys of the ‘Cistercian’ order. These are some of the most delicious beers in all of Belgium and are generally rich, smooth and complex. By many, trappist beers are considered the epitome of the Abbey beers so you should certainly seek them out if you are in Belgium. One good example of a trappist beer is the Westvleteren 12 (the brewery was founded in 1838 inside the Trappist Abbey of Saint Sixtus of Westvleteren), while Rochefort 10 (inside the Abbey of Notre-Dame de Saint-Rémy since 1595) and Orval (within the Abbaye Notre-Dame d’Orval) are also well revered. LAMBICS: Lambic beers are created through a different process than most beer. Normally beer you see is fermented (which is where the alcohol is added) by leaving yeast in the glass for a number of weeks, but here the beer is instead fermented almost by osmosis in a process called ‘spontaneous’ fermentation. Here the alcohol is added by airborne micro-organisms that enter the brew on their own. FRUIT BEERS: Unfortunately lambics are found by many to have a very acidic and sharp taste on their own. As such fruit beers are lambics that have had sugar added, often in the form of fresh and soft fruit such as cherries. WHITE BEERS: White beers are particularly thirst quenching beers which are cloudy in appearance. Like fruit beers, these are often flavoured by the addition of orange peel, cardamom and other flavourings. They are best enjoyed ice cold and with a slice of lemon. Others: There are many other unusual forms of beer in Belgium which ensure you can try something new every night of your stay. For instance you can find beers that have vegetables added, beers that taste like black chocolate, and even a bright red beer called ‘Kwak’ that comes in an incredibly over the top glass.